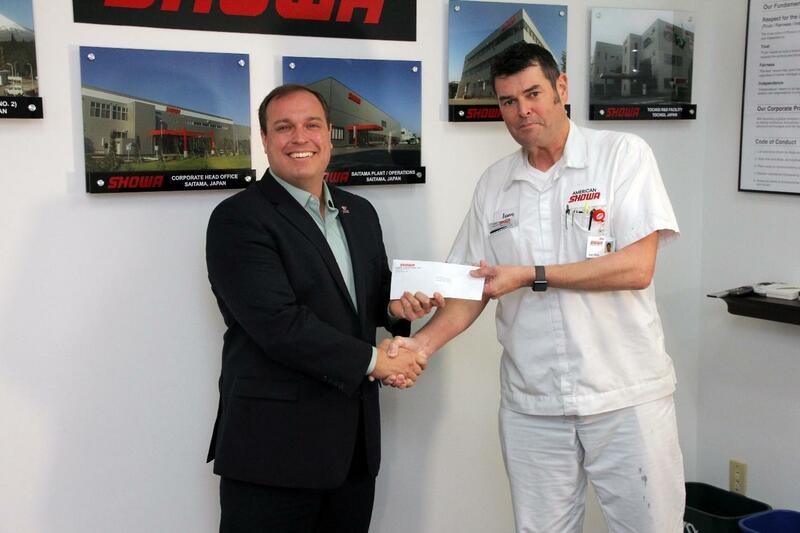 American Showa, an automotive manufacturer located in Blanchester, OH, recently sponsored the Victory for Veterans 5K. The 5K walk/run took place on the grounds of Cowan Lake State Park to benefit homeless veterans in the Cincinnati region. Volunteers of America was the recipient of the $4,629 proceeds. American Showa graciously thanks the volunteers and additional sponsors for their donations. Sponsors include the American Legion Post 179, VFW Post 8736, Wilmington News Journal, Kroger and the Highland County Press.